A school where we have high ambitions for our children and for our whole community. • We aim to develop and extend every pupil to enable them to reach their full potential. We are committed to developing a life-long passion for learning in every child. 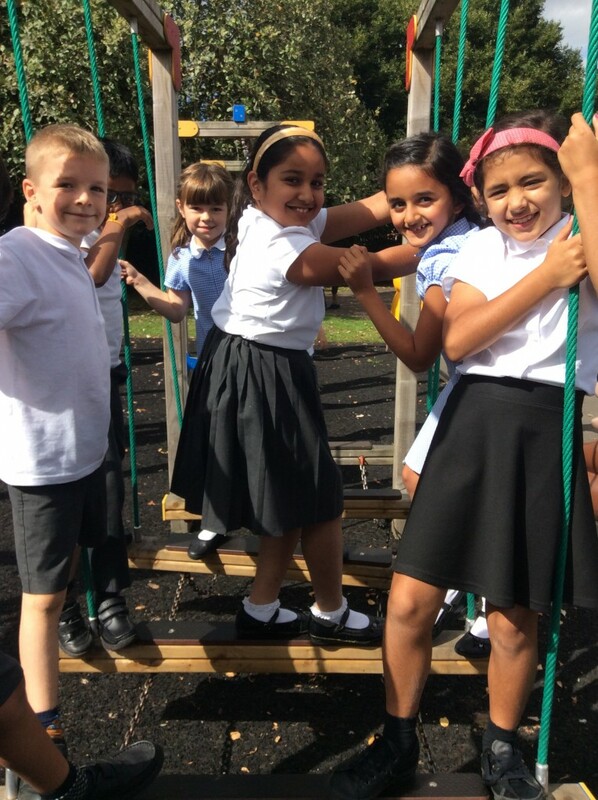 • We have a caring, sensitive ethos and an understanding that children need to feel safe, be happy and to be developing into confident, independent young people. • We believe that successful education is a partnership between staff, pupils, parents and the community. Parents, children and staff have always valued the “family” feel of Grange Farm. We are a growing school but this feel and ethos remains at the heart of how we operate and what we do. The aim of this website is to share and celebrate our children’s achievements and also to provide useful information about the life and work that goes on in our school. If you are not a part of the Grange Farm community, hopefully this website will give you a flavour of what we are about. However, if you want to know more, please do contact the school office to arrange a visit to get a feel for the positive learning climate our children enjoy. Take a look around our school with us.